UPDATE: On June 26, 2013, the U.S. Supreme Court ruled that section three of the so-called "Defense of Marriage Act" (DOMA) is unconstitutional and that the federal government cannot discriminate against married lesbian and gay couples for the purposes of determining federal benefits and protections. 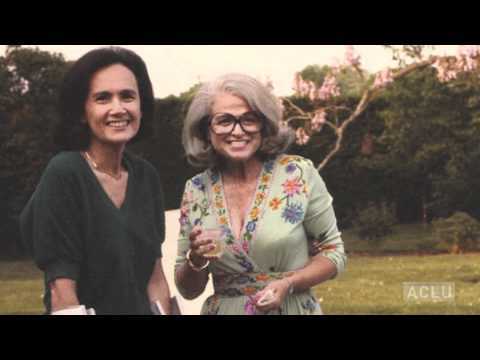 Photographs courtesy of Edie Windsor and the creators of the documentary, "Thea and Edie: A Very Long Engagement," distributed by Breaking Glass Pictures. On October 18, 2012, a federal appeals court declared the "Defense of Marriage Act (DOMA)" unconstitutional. The Supreme Court has agreed to hear Edie’s case. 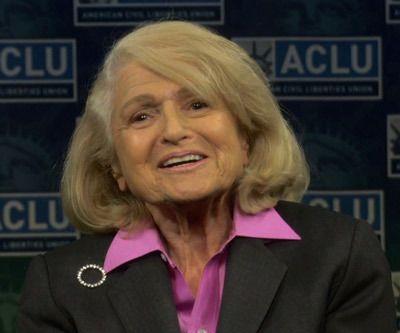 Edith "Edie" Windsor, who shared her life with her late spouse, Thea Spyer, for 44 years, files a lawsuit against the federal government for refusing to recognize their marriage. The lawsuit challenges the constitutionality of the "Defense of Marriage Act" (DOMA), a federal statute that defines marriage for all federal purposes as a legal union between one man and one woman as husband and wife. Windsor and Spyer were married in Canada in 2007, and were considered married by their home state of New York.